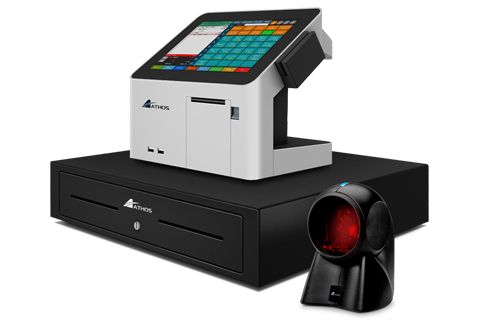 Athos offers a wide variety of Point-of-Sale systems and equipment that can be customized to streamline your business. Regardless if your business is a retail, restaurant or salon, we can configure your POS system to efficiently process your transactions while managing valuable data in form of automated reports through a number of POS software driving management systems. With touchscreen technology here to stay, gone are the days of electronic cash registers and bookkeeping. No more struggling with complex order entry screens in your retail counter sales or hectic hospitality environment, especially during lunch or dinner rushes. Simple to use screens make check out transactions fast, send orders to the kitchen instantly. In addition, manage your business (or businesses) through mobility devices remotely.